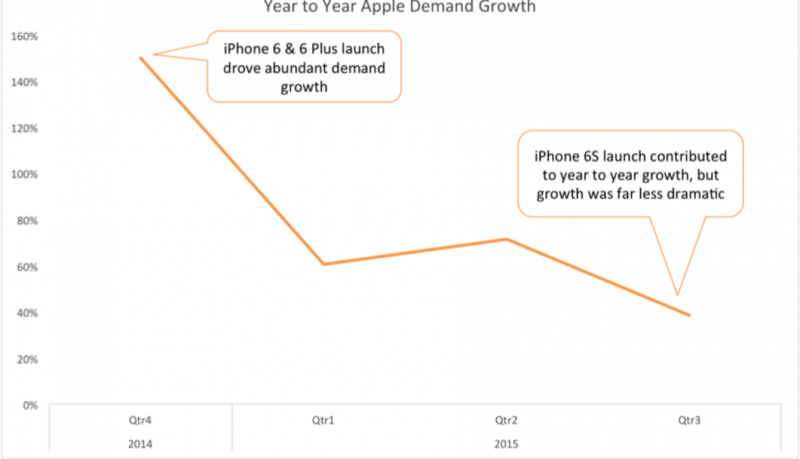 A short month into the launch of the iPhone 6S and 6S Plus, we can already see that consumers are smitten. 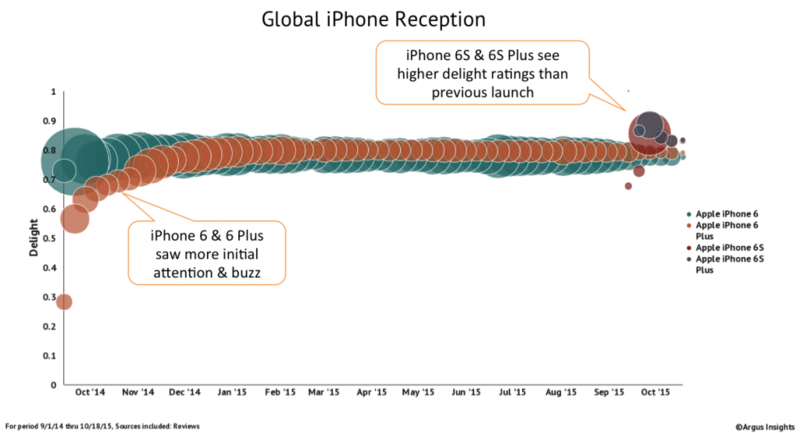 Delight ratings for the new line of iPhones are through the roof, even beating out satisfaction reports for its iPhone 6 and 6 Plus predecessors. 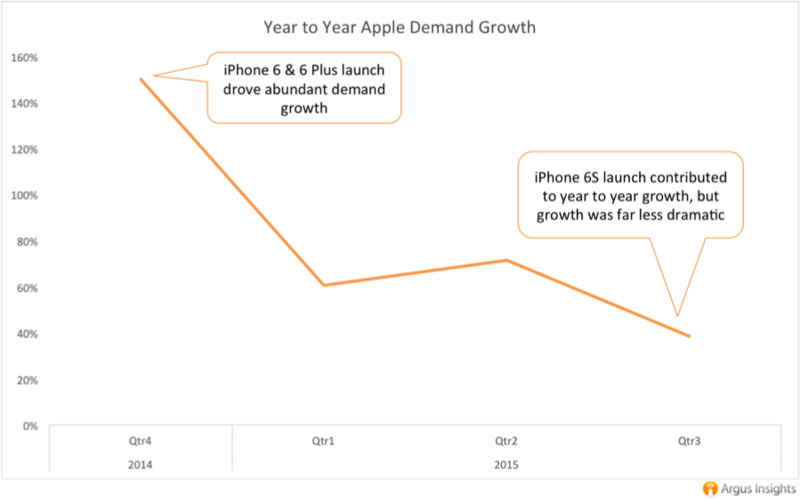 While consumers are happier with the 6S and 6S Plus than they have ever been with the 6 and 6 Plus, the new models are seeing slower global adoption from launch. In the face of persistent saturation in the Chinese smartphone market, the slowdown in China has been pegged as “one of the biggest worries for Apple.” However, analysis of consumer demand at a major Chinese carrier shows more interest in the 6S and 6S Plus from Chinese consumers at launch than the 6 and 6 Plus last year. While overall global demand for the iPhone 6S series is lower than that of the iPhone 6 and 6 Plus, that is not the case in the Chinese smartphone market. Consumers jumped on the availability of the iPhone 6 in China, drastically boosting review volume for Apple Smartphones. Buzz volume then jumped again, even higher, with the availability of the 6S and 6S Plus. While the rest of the world has been slower to adopt the new iPhone models, Chinese consumers are demonstrating even more interest in Apple’s subtle transition from 6 to the 6S than they did for the 5S to the 6 series. The iPhone’s Farewell Tour is progressing as projected, with a final round of interest being expressed by consumers. 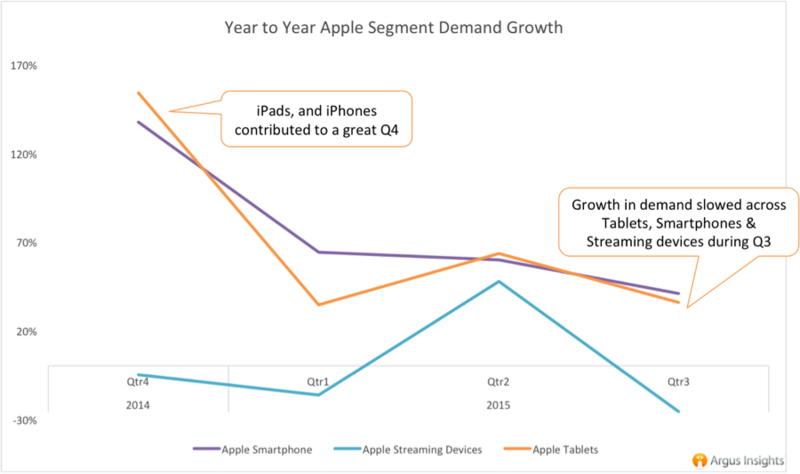 While global consumer demand for the iPhone 6S is less than it was for the iPhone 6, Chinese consumers are demonstrating even more interest in the 6S than the former version. 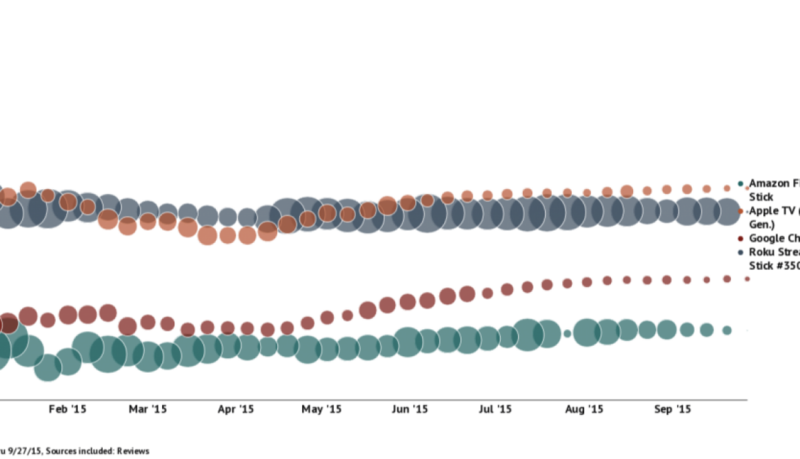 Track consumer perception of the various iPhone models and their competition. Our 20/20 Demand Scorecards predict consumer demand trends by brand and product across the entire Smartphone Market, also available for Wearables and Smart Home. For weekly insights, sign up for our free newsletters. Amazon is booting Apple TV and Google Chromecast off of their virtual shelves just in time for the upcoming holiday season. The move has been said to be in the name of avoiding “customer confusion,” and it is worth noting that Chromecast and Apple TV “devices don’t interact well with Prime Video,” Amazon’s streaming service. Amazon attacked Apple and Google in the fight to increase their presence in the ever growing content streaming market. While Amazon’s Fire TV Stick can clearly not compete with a wealth of far more delightful hardware on the market, their move to ban Apple TV and Chromecast from their e-commerce site certainly has the potential to increase membership for Amazon Prime, their streaming service which was second only to Netflix in consumer conversation about streaming. Want more insights into consumer perception of major and developing markets? Subscribe to our 20/20 Demand Reports to receive a monthly breakdown of buzz and delight trends plus projected shifts in demand for the top 20 brands and products in your market of interest. Available for Fitness Bands, Smartwatches, Smartphones, Security Cameras, Home Security Kits and Hubs, and Smart Lighting. Want a regular does of Argus Insights? Sign up for our free weekly newsletters.